The body wants to heal itself! Reiki (pronounce Ray-Key) promotes overall balance to help you feel and function better. Most people find this type of energy work extremely relaxing and restorative. This non-invasive practice is safe, calming, and supports any medical treatment or drugs prescribed by your doctor. In fact, many hospitals are starting to have Reiki practitioners providing services for their patients just coming out of surgery, after receiving chemotherapy, treatment for addiction, or in the ER. Overall, your body functions best when it is in a state of balance! 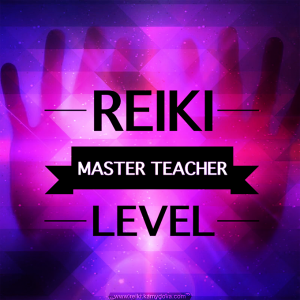 I teach Reiki classes if you have ever wanted to learn how to perform self-Reiki, Reiki on a friend or family member, or even start your own Reiki practice….Ask me HOW! I am a certified Reiki Master (highest level) trained in BOTH traditional Usui (Japanese) & Seichim (Egyptian based) Reiki lineages. Reiki rates are $35 per 1/2 hour & $70-hr. These sessions are held at my office space in a private, clean, comfortable, & relaxed setting. Distant Reiki Sessions are $25 per ½ hr & $45-hr. 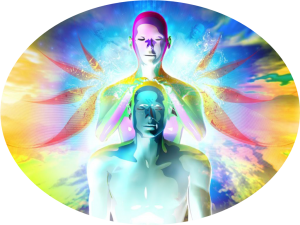 I perform a Reiki Session at a distance, energetically with a client at an agreed upon time and I do this while I am in a meditative state. This type of energy work is a wonderful and supportive thing to do while someone is having surgery, chemotherapy, dialysis, etc. or otherwise can’t be present in-person. People who are sensitive to energy often report a warm or peaceful sensation while the Reiki is being sent. Animal Reiki Sessions are $15 per ½ hr & $30 hr. Animals need balance too! Some animals are receptive to “hands on” Reiki, while others are not. Often with animals, I do a shorter “hands-on” session combined with a Distant Reiki session. I can discuss the needs of your pet and determine what would be best…I am flexible! I previously worked in the veterinary field both as a technician & veterinary hospital manager for 14 years. Do you ever feel like the energy in your home or office is stagnant? I have also been studying the art of Feng Shui for the many years, I am a Reiki Master, and an Interfaith Ordained Minister. I will come to your home or business and perform a ritual/blessing to clear away any stagnant or negative energy. I try to schedule the space clearings during a time that is within optimal alignment with beneficial planetary aspects/lunar phases. Rates are $125 per hour, the time depends on the size of the structure & complexities of circumstance. There may be an additional travel fee outside of Chittenden County, Vermont. Sun 29° Aries 50' 47"
Moon 09° Scorpio 48' 33"
Mercury 03° Aries 45' 53"
Venus 29° Pisces 26' 37"
Mars 13° Gemini 08' 31"